With much of the contemporary Western media’s unjustified focus on China relating to the seemingly negative, it is hard to remain informed about the more positive aspects of contemporary Chinese politics. 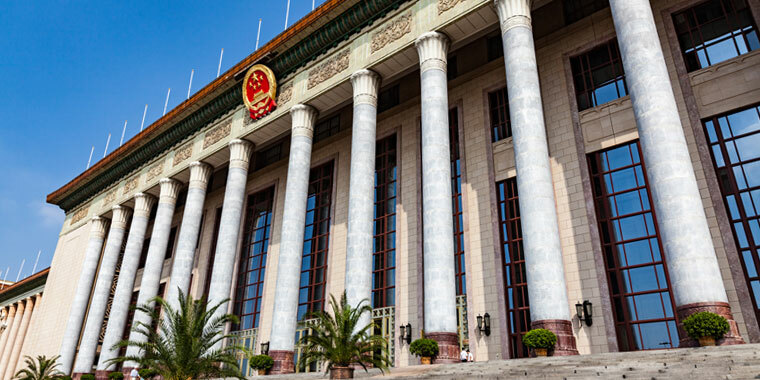 Whilst problems cannot and should not be trivialised in China or anywhere else in the world, this article seeks to dissect the lesser know positive attributes of the Chinese system. China’s recent reversal of the one child policy reinforces the relaxing social constraints of the Jinping administration. Arguably the reasons behind the liberalisation stem more from the demands of a now ageing population. The policy has been received with mixed emotions, with many Chinese families, unable to afford to raise more children and look after ageing parents concurrently. However it can be seen as a human rights win, with couples able to decide on their own, whether or not to have a second child. One of the major insights into the Chinese system is their ability to forecast political agendas far into the future, using the five-year plan model. The “One Child Policy” always had a limited lifespan, and with a lack of political volleyball (seen in the West) the Communist Party can look 50-100 years into the future. One example being China’s agreement in Copenhagen in 2006 to reduce greenhouse emissions by 40-45% by 2020 and having 20% non fossil fuel energy sources by 2030.2 This ability to forecast many decades into the future has given China substantial power in trade deals as well. One example is China’s energy and industrial giants buying large amounts of coal and steel from Australia during 2009-2014. Whilst China stockpiled large amounts of its own coal and steel and saved it for future industrial needs. Then in 2014 China responded to increasing Australian coal and steel prices by reducing its import quotas from Australia, and forced renegotiations based on 2010 prices. Chinese Foreign Policy has also had, what my analysts would call, positive effects in developing areas of the globe. Chinese state owned enterprises and private companies have been building billions of dollars of infrastructure: dams, roads, energy processing plants, mines and convention centres. (see the African Union Headquarters3) Whilst some argue that it is another form of neo-colonial exploitation, loans from the Chinese government come with fewer strings attached than those of the IMF4. Many African countries with poorer human rights or democratic records have looked to Chinese financial aid as an alternative to IMF and western loans, which often impose rigorous reformations of these societies judicial, constitutional and legal systems. Ultimately this new capital is benefitting many in these societies with an increase in employment, more sustained growth and better infrastructure. China’s role in the developing world is offering an alternative to an American led economic and political systems and offering developing nations other alternatives for trade and growth prospects. A further example would be the Chinese backed Nicaraguan canal5, which would serve as an alternative to the western controlled Panama Canal. In summation, whilst China’s political system has a number of present issues. The view of China in the modern western mind is somewhat distorted. The Chinese political system has made increasing efforts to reform its energy sector, finance developing nation infrastructure and job creation and reform out-dated social policy at home. Previous Chinese Legend of The Butterfly Lovers — The Adult Version!